The regional body of the South American Football CONMEBOL announced on Tuesday that Colombia and Argentina are set to host the 2020 Copa America tournament. The competition to be held in June 2020 would be the fifth Copa America tournament in nine years. There had been fears in the lead up to the regional council meeting in Rio de Janeiro that Argentina could pull out of hosting due to economic issues. However, the South American giants dispelled such fears as it committed itself to host the competition. Radamel Falcao believes that Colombia can have a great performance at the next World Cup in Russia. The team is currently second in the South American qualifying table and will likely make it to the next World Cup. The striker who plays in Ligue 1 in France with Monaco said that the team had improved a lot during the past year or so. He believes that the team can have a good performance in Russia next year and that the players are ready for it. He said that they have a good group of players that play in the biggest team in Europe and this has allowed them to get invaluable experience of top-level football. Colombia have been drawn alongside India, Ghana and the United States in Group A of the Under-17 World Cup, billed for October. South American side Columbia are set to open a new football park after city council committee officials listened to a proposal by a representative of Saint Louis Steamers Soccer Club regarding the idea. The club wants approval to build a two-field turf soccer park in the bottoms near the Hampton Inn, reports from South America claim. The concept is because clubs say their growth is coming from the metro east so a soccer facility is crucial. The soccer park would contain not just the two artificial turf fields but a playground, a watershed and a concession stand. The Colombian shot-stopper of Arsenal David Ospina has recently performed at the international stage as he was included in Colombia’s FIFA 2018 World Cup qualifying match against Brazil which concluded with the Brazilian national side claiming a 2-1 triumph. Even though the Colombian national side lost this match against Brazil, Carlos Valderrama had a few positive things to say about the team that he used to perform with over 15 years ago. 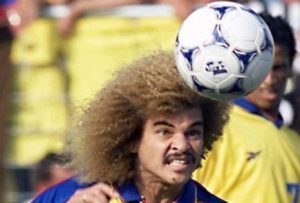 Carlos Valderrama is one of the most recognized Colombian icons in the world of football as he made over 100 appearances for his national side. It’s been around 12 years since Valderrama retired from playing football at a competitive level but he still remains up to date with everything that is occurring in the sport and he recently praised Arsenal’s David Ospina. Many footballers remain legends long after their career in the field ends. 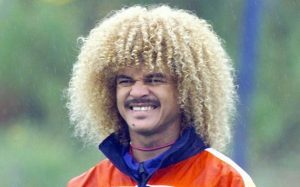 One such name is that of Carlos Valderrama. Being a legendary player from Columbia, he is set to inspire his fans in the country of India as per recent news. When the draw happened at Copa America, he was present. Now he is set to meet his fans in India in the latter half of July 2016. He is considered a national icon in Columbia. He would be the guest of honor for a Mohun Bagan day, which is usually celebrated on 29th July.